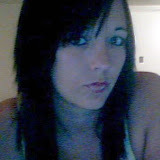 Is Amanda Watkins amandawatkins7@hotmail.com a player or a fake? Amanda wrote a guy, told him all about her kids and that she was a nurse. Said she was really interested in him and led him on for awhile, then stopped responding. Does anyone know Amanda’s story? Is she a player or a fake? Update: In late August 2012 another reader contacted us and said he had the same problem with Amanda. He claimed that all she wanted to do was get drunk and the few times they made plans she didn’t come to meet him. He forwarded us a bunch of her pictures and then again sent more in November. We apologize that it took us so long to post them and have added them to the album below. She cheated on me and I have more pics for you. How do I send them to u?